Recently I found a cycling website 30 Days of Biking which has a simple pledge. Joining 30 Days of Biking means that even if you’re biking solo, you’re never alone. We’re cheering you on from all around the globe. Currently the website has just over 2,300 registered and is now in its 4th year. Basically you pledge to cycle every day for the month of April & blog about it. Well many readers of this blog will know currently Bumble B is awaiting an upgrade. I had planned to upgrade Bumble B from a (M3L) 3 speed to a (M6L) 6 speed and even had the parts ordered etc before I worn out the rims. But due to me increasing my training over the last couple of months I wore the rear wheel out faster than I had planned. 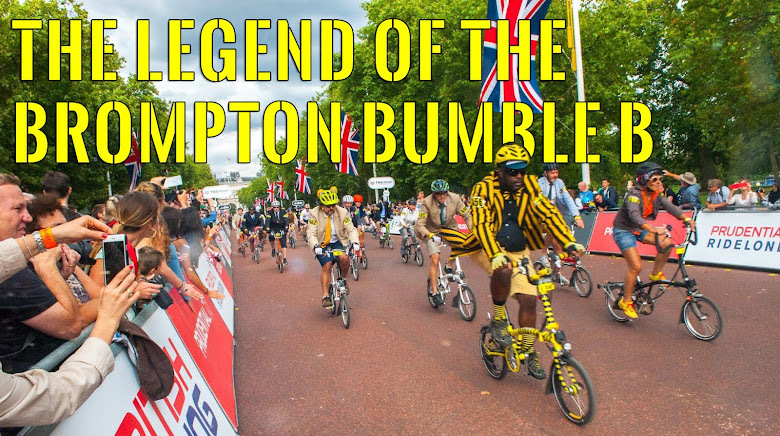 My Brompton Bumble B will be 4 years old in June and for a small wheeled bike the rims have lasted alot longer than most. As someone mentioned in a reply to my previous postingthat they have never seen a worn out rim before so now they know what to look out for on their Brompton. Even though Brompton Bicycles are EXTREMELY WELL made things do wear out and need replacing. 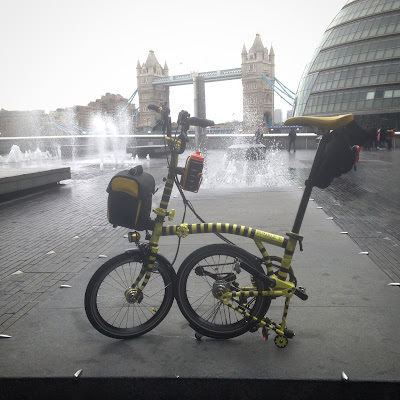 Luckily the Brompton is designed in such a way that not matter the age of your Brompton you can use the latest updates they have made on any age Brompton and bring it up to speed quickly and smoothly. You take care of your Brompton Bicycle and they well take good care of you.